Over the past few months, the ASL team has been on a mission to step up our social media content marketing presence. To do this, we’ve been creating a series of short social media videos to highlight our best content by category, as well as highlight the projects we are most proud of. If you follow us on instagram, you have probably come across this video content over the past few weeks. We use these posts to give our clients and potential clients an inside look at our capabilities and specialties. This blog will take you through our content process when putting these videos together. The first step when putting together our series of internal social media content was branding. It was more than just slapping our logo on top of it and posting it to our page; we needed something that was eye-catching and shows who we are. So, we created a unique animation that represents our look and brand that we now use to introduce all of our reels. When you see that animation, you know it’s ASL. The next step is choosing content to highlight in a video. Then we have to choose the shots from the best projects that highlight what we are trying to say by using the reel. For example, we recently edited a video reel to highlight our work for BMW. When editing the reel, we chose the shots that best showcased the cars’ features and actions, a sound bite that captured the overall message of the full video, and edited it all together with very fast-paced, quickly moving edits. The video draws attention to the excitement of the cars and creates an overall feel. Conversely, we also posted video content highlighting our Faces of Responsibility video for Lincoln Financial Group, where the shots chosen were slower and mostly close-ups of people’s faces. There, we wanted to appeal to people’s emotions and make them feel connected rather than excited. It all depends on what messaging we are trying to convey and the audience we want to reach for each video. Another step when editing our highlight videos is to choose the right music. We choose music tracks that best enhance the feeling we are going for with the video. 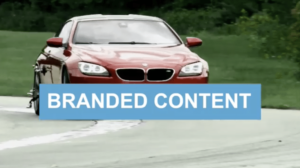 Like in the examples mentioned above, the BMW content reel has music that evokes excitement, and the Lincoln Faces video has music that evokes emotion. 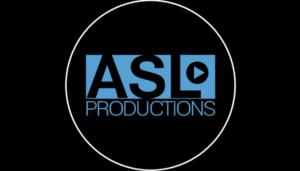 When we edit video content that highlights our video production services or specific categories with multiple services, like our branded content reel, we use music that highlights ASL as a whole. Once we have our video edited together, we’re not done! The last step is come up with a witty caption for our social media content that conveys what the video is about and include hashtags that are relevant to our post, our company, and the clients and viewers we want to attract. After all – it’s all about showcasing our best video content and bringing in more viewers.